It’s not too late to buy some absolutely unnecessary Halloween decorations that cost way more than you need to spend. 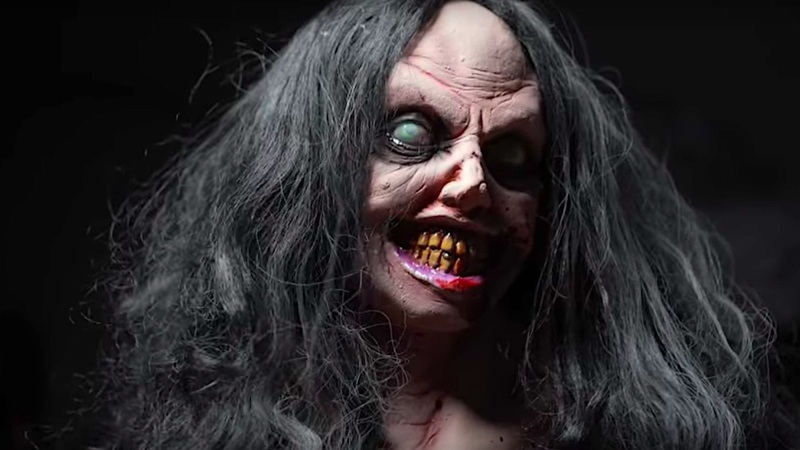 I scoured the web looking for the latest and greatest animated FX Halloween props that will take your haunted house to the next level. There’s a whole world of extremely well thought out and built animatronics that really provide an onslaught of the senses. If you know of any more Halloween decorations like these that you think should be on the list, then please let us know now. Rancid is a “Frightronic” haunt prop by Distortions Unlimited and it’s perfect for your haunted house this Halloween. This creepy gal can be yours for a cool $694.95 USD and could be yours just in time. This is one of the greatest animatronic props I’ve ever seen and the scale of this beast is badass. This behemoth starts at $16,625.00 USD and is made by Distortions Unlimited. If you’re looking for something to make the entrance to your haunt extra special, this would be what you’re looking for. Two enormous neoclassical stone ogre statues that come to life in a big way and they can be yours for $22,888.77 USD via Haunted Props. Give your friends and guests a truly haunted ride in an experience that makes them feel like they’re falling to their imminent death. This animatronic is not for the faint of heart and for thrill seekers only. The Hellevator starts at $9,999.95 USD and there are all sorts of tweaks and hacks for this experience. What looks like an old dusty mirror isn’t quite as it seems. This frightful prop mirror will provide an unexpected scare for those that gaze into it. Tell your guests to go stare into this mirror and call on Bloody Mary three times. There are a few options and this mirror starts at $1,499.99 USD via Fright Props. * This is NOT a sponsored post or has any affiliate links, just a love for great work!